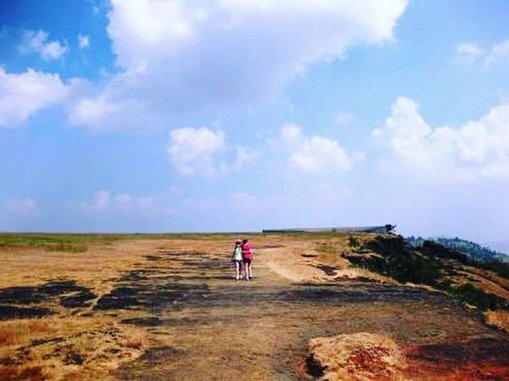 Table Land, a 98-acre flat plateau that forms Panchgani’s highest point, is one of Asia’s largest mountain-top flatlands. 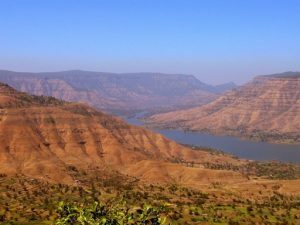 Just a few kilometers away, Mahabaleshwar also has two flat lands but none as big nor as open as Panchgani’s Table Land. Table Land affords unobstructed views of the sunrise and sunset, panoramic views of the valleys and unending views of the green fir forests. 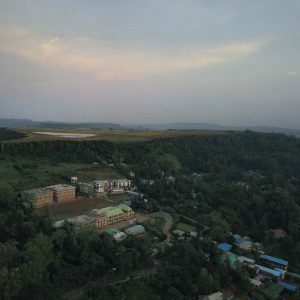 Panchgani, loosely translated as five hills, has this volcanic plateau known as Table Land for its highest point at 4550 feet above sea level. The land is flat and large, offering clear views of the entire region, its valleys, and hills with no obstructions. The plateau has been formed naturally due to the seismic activity in the region, with the movement of tectonic plates raising this bit of land. 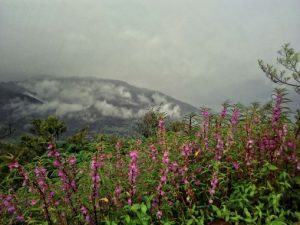 The plateau is a part of the much larger Deccan Plateau. 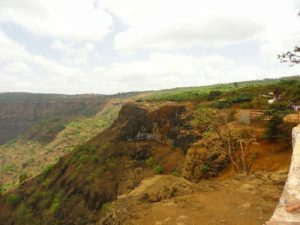 The entire plateau proudly displays its rusty red laterite rock and has at least two touristy caves Devil’s Kitchen and Tiger Cave. One wondrous thing about the plateau is that despite fertile soil, nothing ever seems to grow here, except a lone tree. Table Land is a vast expanse of flat land at quite an altitude, so it figures that views of the sunset and sunrise are phenomenal from here. Overlooking the entire stretch of the Krishna Valley, Table Land is a photographers delight. There are no trees, no houses and no other obstructions to a stunning view. Most tourists check the sunrise and sunset timings in advance and get there well in time to catch the moments. The evening does get a little crowded but considering the amount of land at your disposal, just a short walk with a friend can get to your own private viewing corner. Table Land is teeming with activities for tourists, all year long. Since it tends to get extra windy here, experienced para-gliders are known to take off from here. 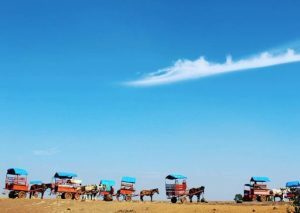 Apart from these activities that are best left to the pros, Table Top has horse rides, buggy rides and camel rides for the casual tourists. 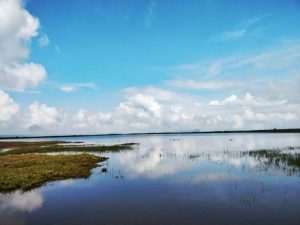 Since the flat land stretches far and wide, taking a horse ride is your best bet of venturing out far and wide in search of great views and fabulous pics. 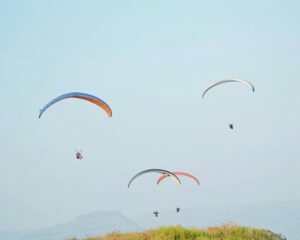 Additionally, people also come here for mountaineering, trekking and rock climbing. There are a couple of merry-go-rounds for kids and many street food kiosks for adults who like their tummies full. Table Land is just 12 minutes drive from the Ravine Hotel. If you like walking, you can also take a hike to Table Land from Ravine Hotel. If you go by car, the parking area is a little away from where all the fun and activities are, but considering how scenic this whole region is, people don’t mind the short walk. The two caves Devil’s Kitchen and Tiger Cave are also at a walkable distance from the parking area and the walking paths are easy to navigate. 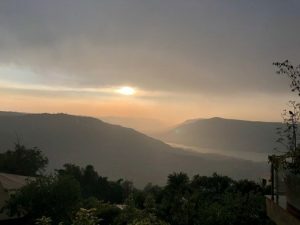 Table Land provides panoramic views of valleys on all sides of its boundaries, so no matter where you walk, you are sure to find something to see. Especially during the monsoons, the lush green foliage, natural grass cover, and exciting waterfalls make Table Land a must-see for all.